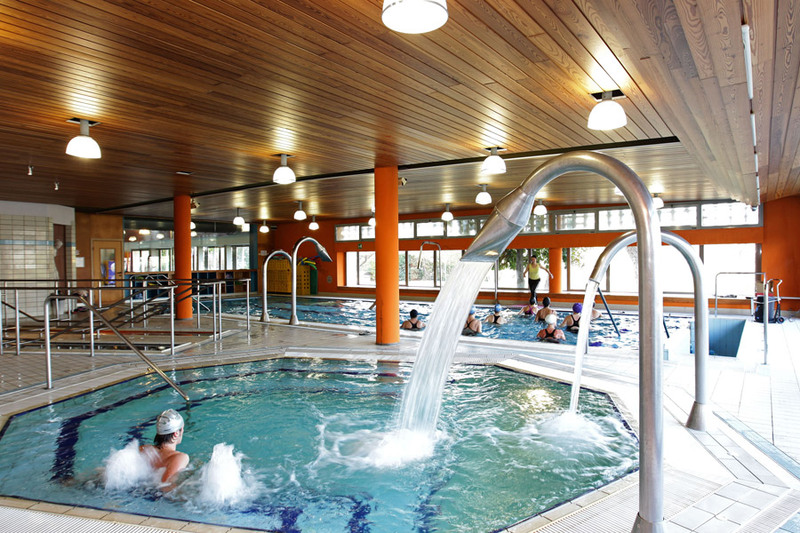 Salvarola Terme in Sassuolo is 19 km from Modena, 8 km from Maranello, 23 km from Reggio Emilia and 50 km from Bologna. 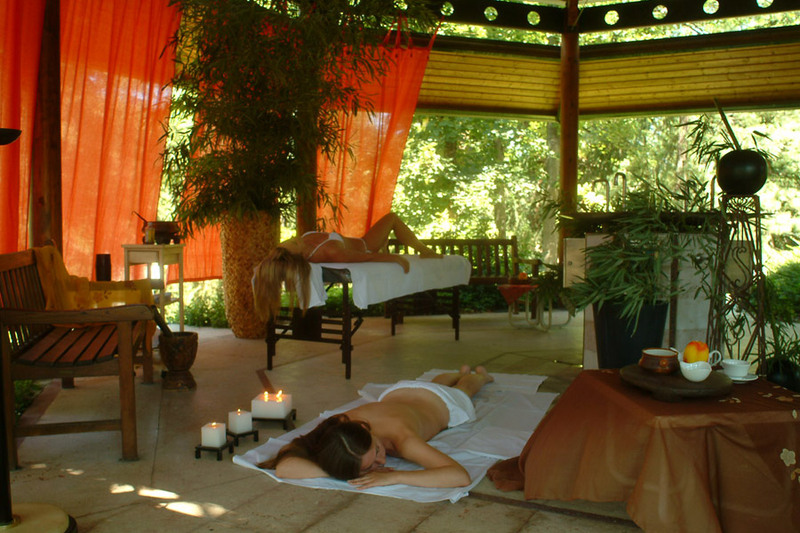 The spa centre is located among the vineyards in the valley of the river Secchia, three kilometres from the centre of Sassuolo, in a territory characterized by rolling hills. The water of Terme della Salvarola has been known since Roman times and it was also used by Matilde di Canossa and the Este Family, who called it “divine water”, for its salsobromoiodic and sulphurous properties. This water is ideal for treating respiratory diseases and, combined with salsobromoiodic mud, it has a beneficial effect on the osteo-articular system and it is very good for wellness and water therapy. The century-old park of the Liberty style building is also home to the Centro Benessere Termale Balnea. 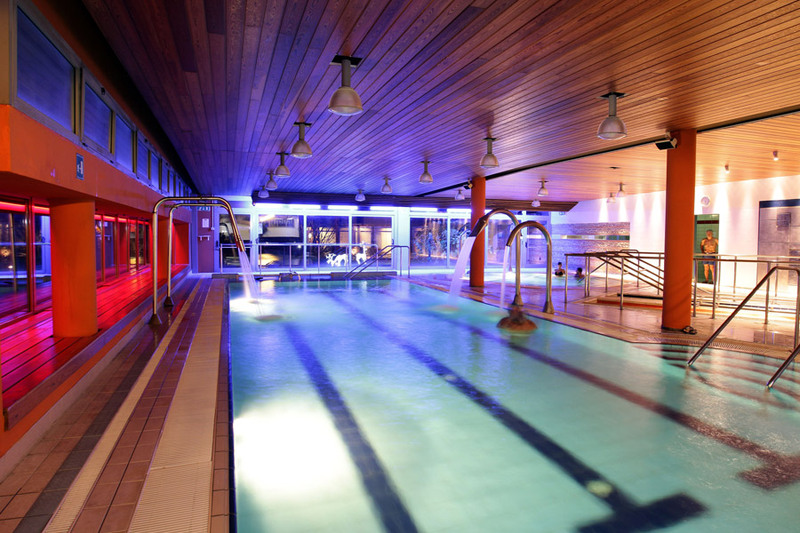 The Balnea Centre is open 7 days a week and it includes 5 thermal tubs with temperatures varying from 20°C to 38°C, waterfalls and water games, vascular paths, a sauna, a steam bath, 4 gyms, a relaxation area, a solarium in the garden and the Centre for Sensory Aesthetics. The Centre for Sensory Aesthetics offers tailor made ‘remise en forme’ treatments, slimming treatments, traditional and international massage and oxygen treatments, in a charming atmosphere. The Centre also offers gourmand wellness aesthetic treatments based on local produce, combined with EcoBioTermale® cosmetic lines made with natural ingredients such as cherry, pumpkin and Balsamic Vinegar. The Centre is also the first in Italy to offer wine therapy with Lambrusco Grasparossa grape. Furthermore, in September it is possible for the guests to take part in the grape harvest and use the freshly picked grape for their treatments. Terme della Salvarola also offers tourist packages including visits to the most important local tourist attractions, among which the Duomo di Modena, listed in the UNESCO heritage list, the Ferrari Museums, the Pavarotti Museum, the Ducal Palace of Sassuolo – one of the first 20 National Museums in Italy – and the food&wine excellences: Traditional Balsamic Vinegar, Parmigiano Reggiano cheese, Lambrusco wine and cold cuts. Not to mention the Ceramicland Tour, dedicated to the history of the production of ceramics in the local district, the nearby reserve of the Salse di Nirano, and finally trekking activities, mountain bike and cycling excursions along the river and many cultural and motor events taking place throughout the year. 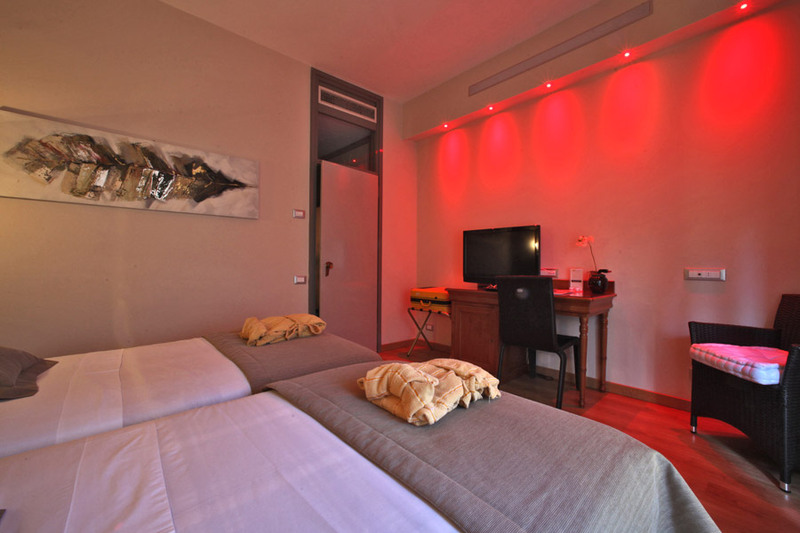 By car: take the A1 Milano-Bologna motorway, exit at Modena Nord, continue on the dual carriageway for Sassuolo until the end, at the roundabout take the 1st exit to the right in the direction of Sassuolo and follow the signs for Salvarola Terme. By train from the stations of Modena, Reggio Emilia and by the Medio Padana high-speed train info ACT. By plane: “G. Marconi” airport of Bologna at 52 km – “G. Verdi” airport of Parma at 66 km – “V. Catullo” airport of Verona at 120 km.